During the past 1-2 decades various situations in the world society has changed rapidly and continuously. Because of the aftermath of globalization, information technology revolution, Doing business without order, and the volatility of the globalization economy, oganization is part of society. Therefore must to survival and growth. The 2019 organization has to be changed, creativity, flexible, not stagnant is a horizontal organization, short command line, middle and lower management level will decrease. Including administer personnel and support personnel will also decrease , reduce campaign costs, team work, personnel involved in decision making, considering the service recipients. The operation must a side-and network relationship. The service must be available at all time and in categories. For the organization to be able to compete. KORSAKUL, Viroj. องค์การ ปี 2019 (Organization in the year 2019). 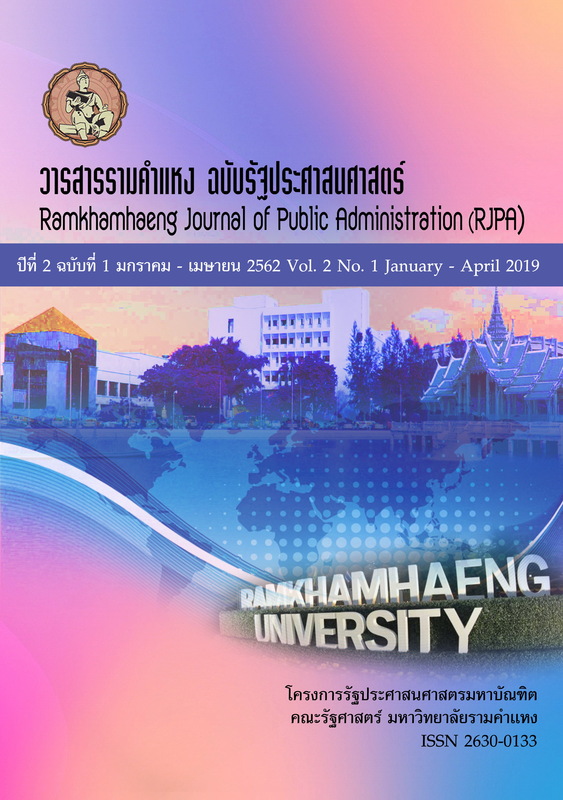 Ramkhamhaeng Journal of Public Administration, [S.l. ], v. 2, n. 1, p. 258-273, apr. 2019. ISSN 2630-0133. Available at: <http://ojs.ru.ac.th/index.php/MPA/article/view/141>. Date accessed: 20 apr. 2019.